There are a lot of reasons you may want to monitor the temperature — and especially humidity — within a container. As Dave Astels points out, controlling humidity is essential for keeping dried herbs mold-free. If you’re a 3D printing enthusiast, you may want to monitor the humidity inside the container where you store your filament. In both cases, Astels has a guide on Adafruit that will walk you through how to build your own e-ink temperature and humidity monitor. This is an updated version of a guide from 2017, which used an Adafruit Trinket M0 for the same job. This new version switches to a more robust Feather M4 Express, which offers a number of new features. Most importantly, it has a built-in lipo battery charging circuit and the ability to handle the SPI-controlled 1.54″ 3-color e-ink display. That display is perfect for the job, because it doesn’t require any power to maintain a screen, so it only uses power when it updates. 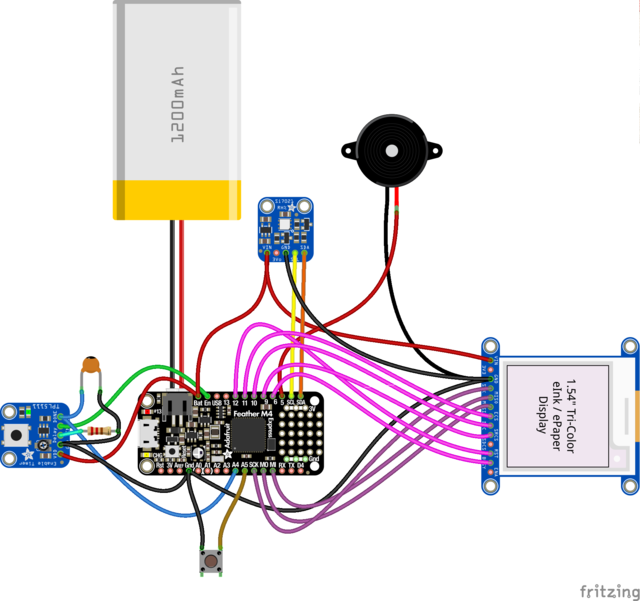 To create this humidity and temperature monitor, you’ll need the Adafruit Feather M4 Express, an Adafruit 1.54″ Tri-Color eInk Display with SRAM, an Adafruit TPL5111 Low Power Timer Breakout, an Adafruit Si7021 Temperature & Humidity Sensor Breakout, a lipo battery, a piezo buzzer, and a tactile button. Assembly is straightforward and easy if you follow the guide, and you can even program the device using CircuitPython. Once you’re finished you can put it on whatever container you want to keep dry, and you’ll get hourly status updates. You can even use the 3D-printable jar lid for your herbs! 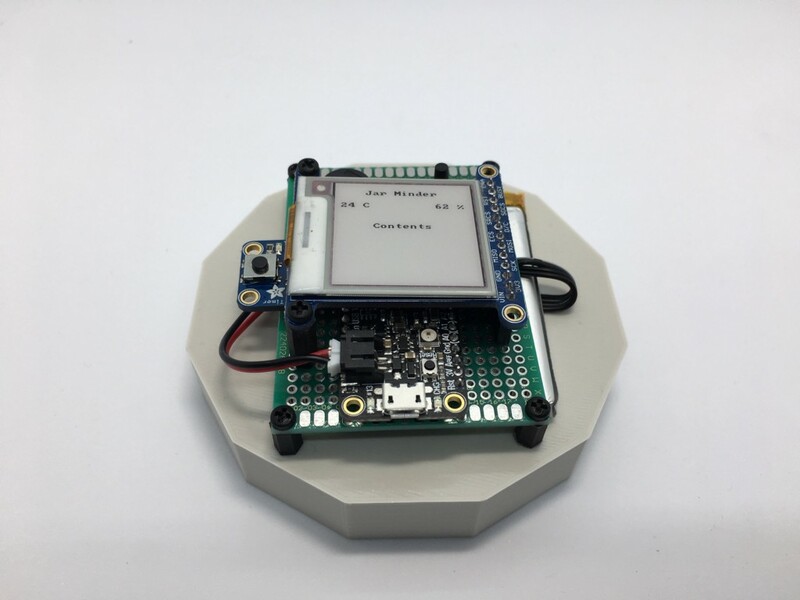 Follow This Guide to Build an E-Ink Humidity and Temperature Monitor was originally published in Hackster Blog on Medium, where people are continuing the conversation by highlighting and responding to this story.